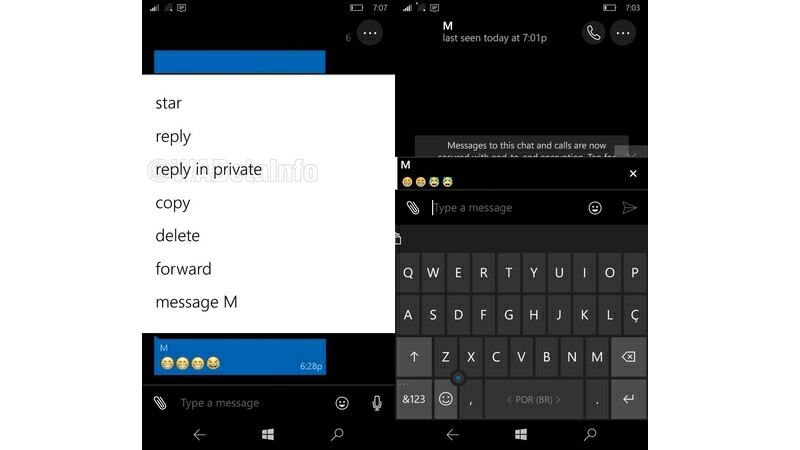 WhatsApp mistakenly rolled out the ‘Reply Privately’ feature in a beta update for Windows Phone that will allow users to privately send a message to a participant in a group without anyone else knowing about it. The hotly-anticipated WhatsApp feature is under development and could be rolled out with other features as well. The Private Reply feature appeared and was subsequently dropped from the beta version of WhatsApp, watcher of the popular chat app @WABetaInfo said, confirming that the developers wrongly enabled the feature.